PosigripSL - οι πλαστικές σφραγίδες ασφαλείας είναι στοιχεία στεγανοποίησης ασφαλείας που έχουν και το σώμα και το σύστημα στεγανοποίησης από πλαστικό. Είναι κατάλληλα ως λύση στεγανοποίησης ασφαλείας σε οποιοδήποτε πεδίο δραστηριότητας ή οποιαδήποτε ανάγκη στεγανοποίησης του ελέγχου της ακεραιότητας. Operational length: 300mm (Posigrip S) | 400mm (Posigrip L). 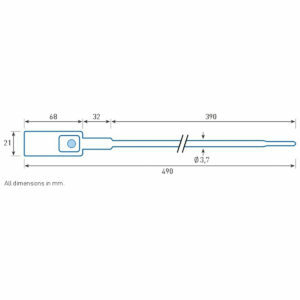 PosigripSL is a variable length plastic seals (Пластмасови пломби за сигурност, Plastične brtve, Πλαστικές σφραγίδες, Műanyag plomba, Sigillo di sicurezza, Kunststoffplomben mit variabler Länge) that provides an adjustable closing solution according to the need for security purpose sealing. The scope is very wide, namely sealing solutions of fire extinguishers, the tanks with various fluids, bags, trucks, concrete mixers trucks, and generally any necessity of security sealing and access control. Variable length plastic seals can fit many applications from securing the neck of a bag or mail sack to sealing chemical drums, first aid kits, and fire extinguishers. 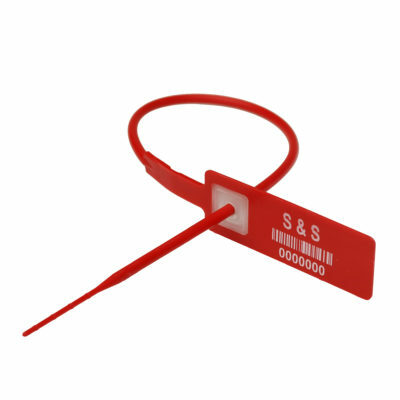 They have an adjustable length, much like a cable seal, but offer a much higher security level and an audit trail due to sequential numbering, and the ability on some seals to be barcoded, and have a company name and logo printed or laser etched on. The pull-tight plastic seal gives users the opportunity to provide access control to objects such as warehouses, vehicles, containers, gas stations, offices, vault cash in banks, cash collection bags, slot machines, lockers, luggage, and many other objects. Also food (fish, meat, honey) and fur animals can be protected from forgery. The tightening security seal is needed in cases where the use of more sophisticated security measures are impossible or impractical.